Are you getting married at Mandarin Oriental Hyde Park? Set right in the heart of one of the greatest cities in the world, this fabulous hotel is a grand place to get married. Mandarin Oriental Hyde Park has played host to many of society’s greatest wedding and events. Overlooking the beautiful expanse of Hyde Park, there’s no more central venue than this in London. A unique and central venue such as this deserves an equally distinguished photographer. If you want a wedding photographer with ample experience working in such incredible venues, simply head to Iain Gomes. Iain is not just any old photographer; at his core, he’s also an artist. This is reflected in all the beautiful wedding photography he’d produced over the years. 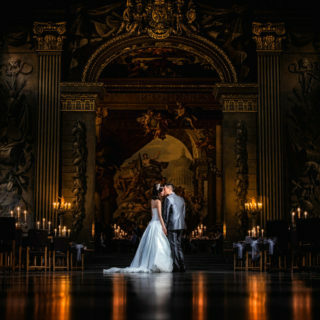 He’s been the photographer of choice at many incredible venues, such as Eltham Palace, Berkley Castle, St Paul’s Cathedral, Leeds Castle, The Ritz Hotel in London and Eltham Palace. He also frequently works at exotic locations abroad, so has experience working in all kinds of settings. If you want a photographer who will capture the unique personalities of you and your wedding party, along with the stunning backdrop to your event, Iain is perfect for you. His highly individual style is a fantastic mixture of documentary-style and creative acumen. He loves taking stunning pictures which consistently last the test of time, and will take all your guests’ breath away.